This is a bit of a different one. I would like to share a practice that is very dear to my heart, but which could easily be misinterpreted to be some simplistic and superstitious mambo jumbo. To prevent this, I have written an extensive introduction, and compiled and edited writings from great Chan masters throughout the ages teaching on the practice of Nianfo (Skt. Buddhanusmriti – “Buddha Recitation” or “Buddha Recollection”). Below the introduction are links to both the main Nianfo manual of our school, called Taming the Monkey Mind, and to the booklet I’ve prepared. Look superficially, and you’ll miss the point completely. Look deeply and you’ll see the immense benefit this practice can bring to your life. May it add to the happiness and joy to all who hear it and all who practice it! 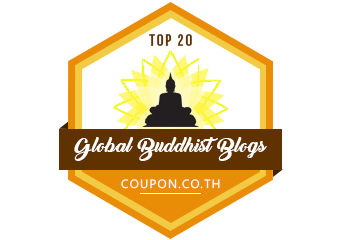 Pure Land Buddhism is the most common school of Buddhism practiced in East Asia. It is centered around the figure of the Buddha Amitabha (Buddha of Infinite Light) who, as a young monk made a vow to establish a Pure Land where there will be no obstructions to practicing and conditions will be perfect for achieving enlightenment. The entry criterion is simple: even if you were to recollect his name even once with full attention and sincerity, you’re in. It is this infinite compassion with which he is primarily associated, and for which he is so widely beloved. In the Sutras (Buddhist texts) which describe Amitabha and his Pure Land, Buddha Shakyamuni (the historical Buddha) teaches in extraordinary detail about each characteristic of the Buddha Amitabha, his Pure Land Sukhavati (‘Boundless Bliss’) and its current and potential occupants. The culmination is a teaching of a series of 13 visualisations, a potent mindfulness practice which demands a very high degree of concentration and imagination – single pointed thought. In Chinese Buddhism, Pure Land and Chan (Jap. Zen) are very often mixed and the lines between the schools are strongly blurred. Many of the famous Chan masters, such as Hanshan Deqing, Yunqi Zhuhong and later Xuyun Xingche and Nan Huaijin advocated ‘Nianfo Chan’, where the practitioner first perfects Buddha-Recitation or Buddha-Recollection, a practice used since the time of Shakyamuni Buddha, where one repeats a Buddha’s name single-mindedly (Amituofo, Amituofo, Amituofo, etc.). This is praised by many a master as the easiest technique for achieving Samadhi (full meditative concentration). Once Samadhi is stable, the Chan practitioner then asks the Huatou (existential doubt-inducing question) “Who is reciting the Buddha’s name?” and thus directs the attention to her True Nature/ Self Nature/ Buddha Nature which is thereafter penetrated into, producing an insight into Ultimate Reality. The Pure Mind is the Pure Land, and Amitabha, Infinite Light is our very own True Nature. Seen from a different angle, Pure Land Masters from the first Chinese patriarch Huiyuan Lushan to the 20th Century Patriarch Yin Kuang also expounded that Buddha-Recitation Samadhi and single minded recollection of the Buddha bring about the true understanding of the Pure Land. So is there a real Buddha Amitabha and a real Pure Land? In our current deluded state, we confuse what is real and what is false all time anyway. Physics has explained long ago that this device in front of your eyes is in fact a symphony of atoms vibrating in space, yet you insist that there is in fact a real and solid ‘device’. So, just like that, all is real and all is unreal. Just as “real” as your device. But if you recite without interruption, whatever you are doing and wherever you are, you will see for yourself what the masters meant when they said that “Every day is a good day, and every place is the Pure Land”. You can access the manual on Nianfo practice here – The 48 doors to Nianfo – Taming the Monkey Mind. For the Pure Land Chan booklet I’ve compiled, click here- Pure Land Chan.